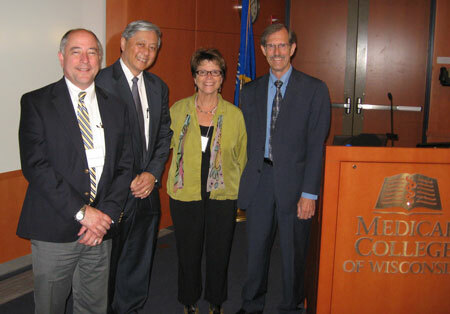 On Friday, September 16, I gave a seminar on managing high conflict divorce to over 85 family lawyers, counselors and a couple family court judges in Milwaukee. It was sponsored by the Medical College of Wisconsin and it was their first event bringing together these two groups of professionals. Counselors (or “behavioral health professionals”) are increasingly dealing with the emotional effects of high conflict divorce. We discussed at length that the negative behaviors of high conflict parents in divorce are being passed on to their children, which may become part of the children’s personalities growing up. I discussed the large research study on personality disorders done by the National Institutes of Health, which indicates that personality disorders may be increasing in society and that younger people may be at higher risk than ever before. With this in mind, the group was very receptive to the idea that our work with high conflict parents needs to focus more on skills than on decisions, and to reduce the adversarial nature of divorce as much as possible. It was a great experience and there is a good likelihood that I’ll be back next summer to present more of this information. I’m very encouraged by the shared desire to really help high conflict families, rather than to judge them or criticize them. After all, their children are the future for all of us. And with the collaborative efforts of professionals, such as I met in Milwaukee, I think we really can make a difference!